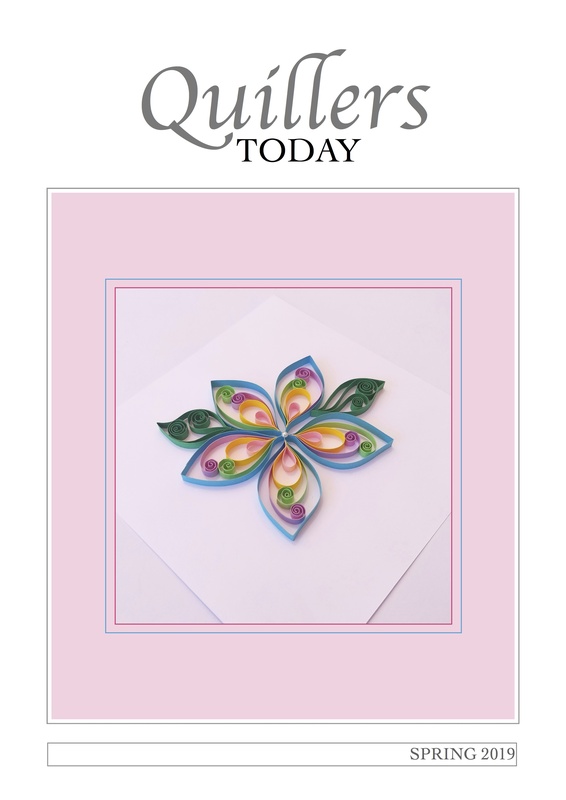 I completed this quilled collage picture last year, but never wrote a blog post about it because, at the time, it was destined to be a competition entry into one of the creative arts categories at Taunton Flower Show 2016 and needed to remain unpublicised to preserve the integrity of judging. I feel it deserves a proper introduction now, however, since I’m thrilled to say that the piece has just been accepted for inclusion into the CICCIC (Creative Innovation Centre Community Interest Company) Contemporary Art Open Exhibition 2017 after I took the decision to enter it into their recent national competition. The panel of judges (mainly fine artists, I believe) were looking for “work which considers new ways of exploring media, composition and subject material”, and I guess that my pioneering approach of combining collage with quilled tracery patterns and decorations in the style of a stained glass window managed to ‘tick’ all three of these criteria ‘boxes’. 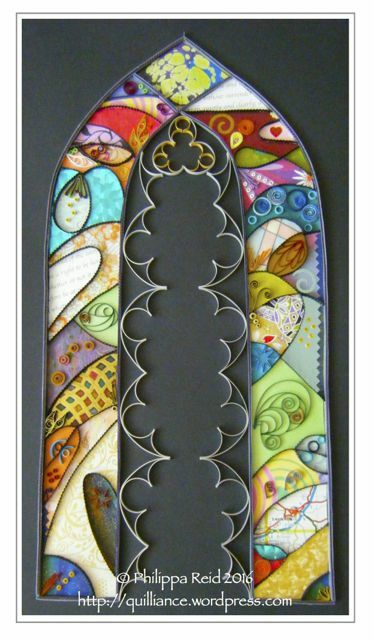 ‘Arch’ was the first, and definitive, collage piece that I created, exploring the possibility of segmenting an arch in the manner of a modern stained glass church window, using shapes derived from intersecting curves. The various segments in the picture contain carefully-selected pieces of background paper, sourced from magazines, gift wrap, marbled paper off-cuts and even a road atlas. Quilled shapes (some traditional and others ‘deconstructed’) are used as decorations inside the segments, which are delineated using bundles of crimped black quilling strips. The tracery arcs were created using specialist silver-edged silver and gold-edged gold quilling strips, while the edges of the arch are multi-strip ‘sandwich’ constructions which I moulded to fit around a pre-embossed outline. Because I always like to be ‘different’, I deliberately positioned the tracery on the inside of the arch. 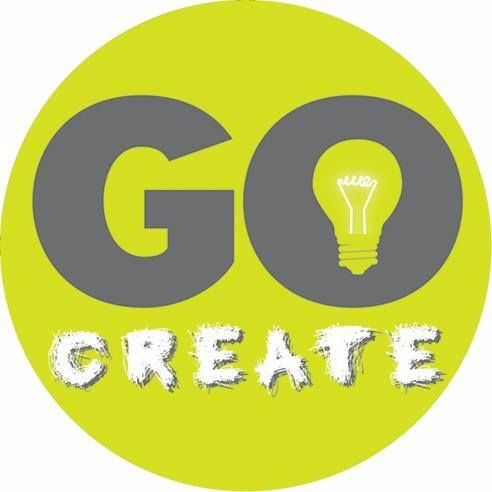 My creation will be exhibited alongside 19 other selected pieces of innovative multi-media art and sculpture that were selected from what I understand to have been 80 competition entries submitted by artists from across the UK. This means that “many were called, but few were chosen”, as they say, and so the sense of honour and achievement that I feel is truly profound. 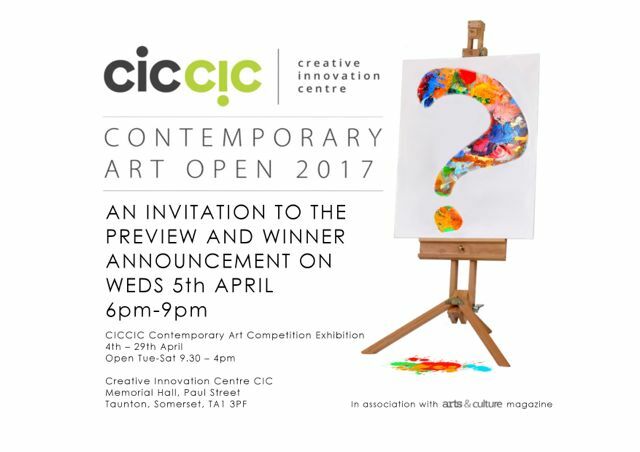 The exhibition will run from 4th – 29th April 2017 (opening hours 9.30am – 5pm Tuesday – Saturday) at the CICCIC Gallery, Memorial Hall, Paul Street, Taunton, Somerset, TA1 3PF, UK, with a special preview evening event from 6pm – 9pm on Wednesday 5th April. I am delighted to say that I have managed to resolve (diplomatically!) an unfortunate clash of social commitments in order to be present on that night, when the winners of the competition are to be publicly announced. I would not miss it for the world!! I can only tell you that you deserve to win with this fabulous work !!! I really love the originality and design of this creation. Absolutely beautiful – a stunning and elegant piece of art. Lovely vibrant colours and so complicated. Philippa Reid is a very talented artist.